Discover the flag of every country in the world with this colourful sticker book. 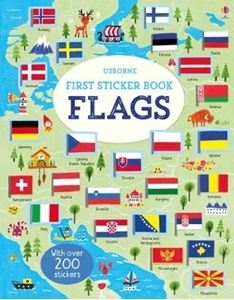 Children can match the stickers to the correct countries on the maps - and learn more about countries and continents too. With over 190 stickers to add to the colourfully illustrated pages, plus links to websites with quizzes and activities.